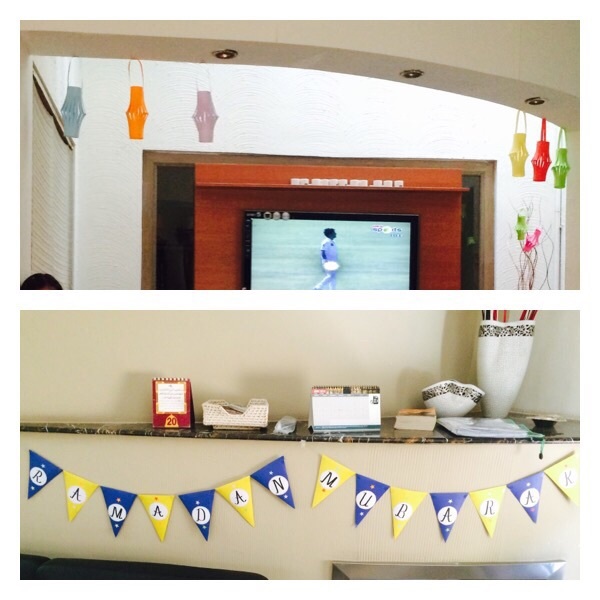 Decorative Moods – MAASI IS TRYING! We are the Maasis who'll rule the world — One teacup at a time! 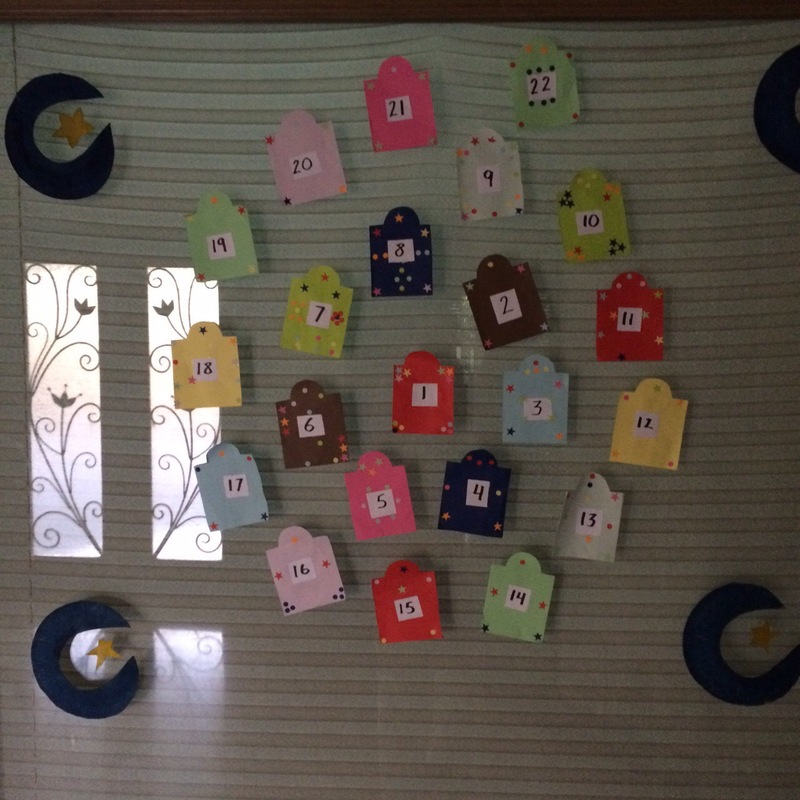 A little something we did for Ramadan this year! Ramadan mubarik! I pray this year will be a better year for all of us. Ramadan is a time when we seek to grow closer to Allah SWT, and to attain as many good deeds as possible. We also strive to better ourselves and make improvements in our character in general. Each year we begin the month of Ramadan with much zest. We are able to wake up on time to prepare Sehri, and are comfortable enough to prepare Iftari. The beginning is always great. Lanterns in our lounge as well. Don’t you think they’re pretty? We set our personal goals we want to achieve, map out the Duas and special prayers we want to say to Allah SWT. Everything goes smoothly. Alhumdulillah. It’s about a week into the month that we do start to slow down. Well, I’m assuming half of us?? With the heat and electricity breakdowns during the day, I know my mood begins to waver, as well as my children’s’. This year, I wanted to do something different. From last Ramadan, I noticed many people abroad decorated their homes to bring in the festive mood. I had saved many pictures, and this year with kids in tow, we decided to make our own decorations and make the home more colorful and happy. 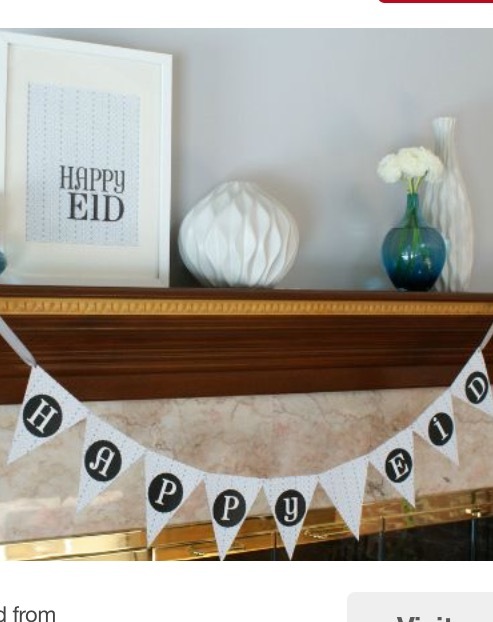 When I was living abroad, I never found any Eid, or Ramadan decorations. But I’ve noticed that things have changed and people are more aware of our religion as well. On Etsy, one is able to find cookie cutters for Eid. They include a mosque, moon, star and another shape as well. One can find hanging lights with moon and stars. Also, wall hangings and banners all saying “Eid Mubarik”, or “Happy Ramadan”, and many more things are readily available in the U.S. now. That makes me happy as a Muslim. 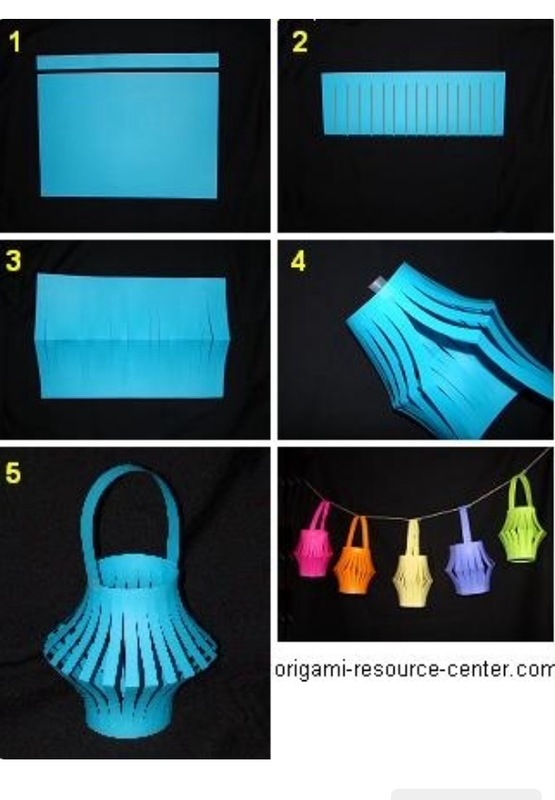 This is how we made our simple lanterns! 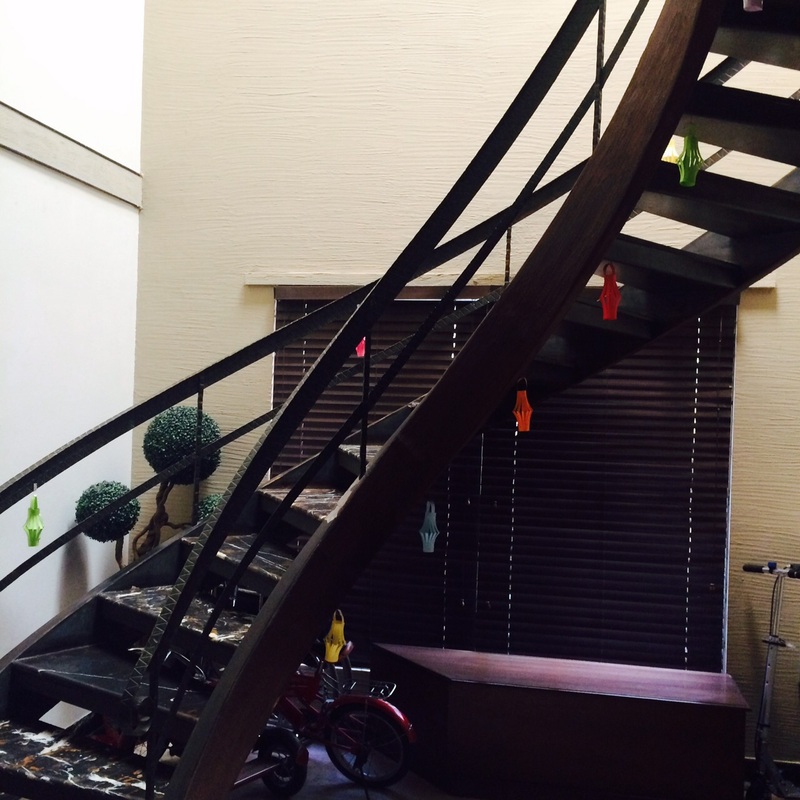 This year, my daughter made many different colored lanterns to hang around our stair case and in the lounge. We all contributed in making our Ramadan Mubarik banner as well. Right now, we are working on making different lanterns with the number of days written on it. So each day after Iftari, we can remove one lantern. This helps the kids to know how many days are left. Making these decorations has also helped the days go by quicker. The kids are not in the mood anymore to do any holiday homework, and making them read a book is sometimes a chore in itself. These projects helped them take their minds off of the thirst for a little while. I hope some of you will also try this and include your children to help you. It’s good bonding time as well. Lovely ideas! Thanks for the inspirations! The Maasis on Magic Potion! Christina Brinkley on Magic Potion!